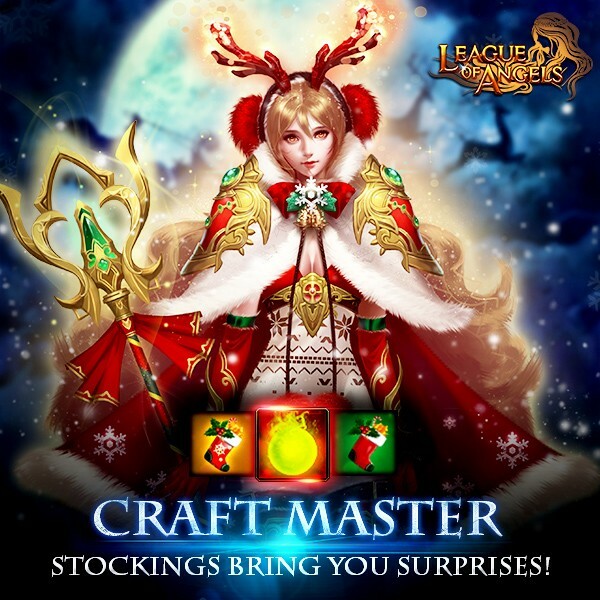 After collecting specified materials, you can craft certain items, including Flaming Flower, Empty Stocking, Normal Stocking, Full Stocking (these stockings can be used in the Christmas Holidays), Khaos Core, Divine Blessing Stone, Rare Flaming Stone, Adv. 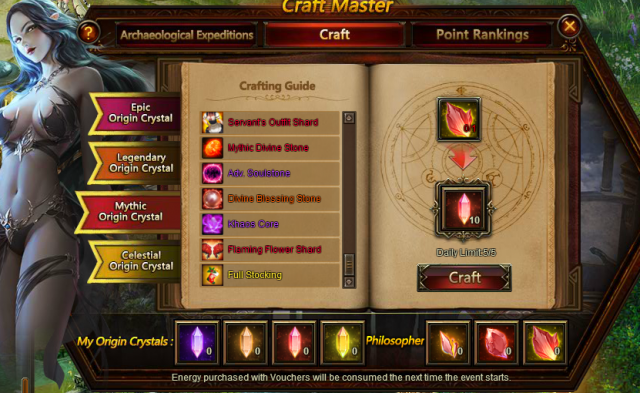 Soulstone, Lilac Stone, Mythic Divine Stone, Elena's Icon Shard, Servant's Outfit shard, Lover's Reunited, Element Crystal, Element Scroll, Magic Socketing Rod, Awakening Stone, Lvl.9 Fusion Gem Chest, Lvl. 10 Cherubstone, Lvl. 11 Agility Gem, Lvl. 11 HP+ PATK Gem, Lvl. 11 Dodge+Block Gem, Lvl. 12 HP+PATK Gem, Lvl. 12 PATK + Hit Gem, Lvl. 12 Dodge+Hit, Lvl. 12 Agility+Hit Gem and etc.